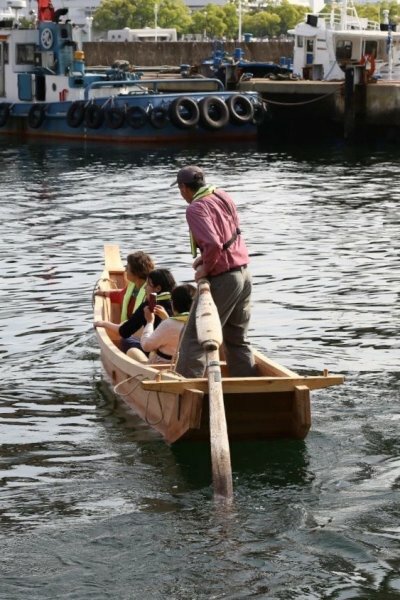 On May 9, 2016, the Takenaka Carpentry Tools Museum in Kobe, Japan, launched this 22′9″ Isobune, a type of fishing boat developed in Tohoku, Japan. The boat was built as an exhibition at the museum by Douglas Brooks, who is a boatbuilder from Vergennes, Vermont. 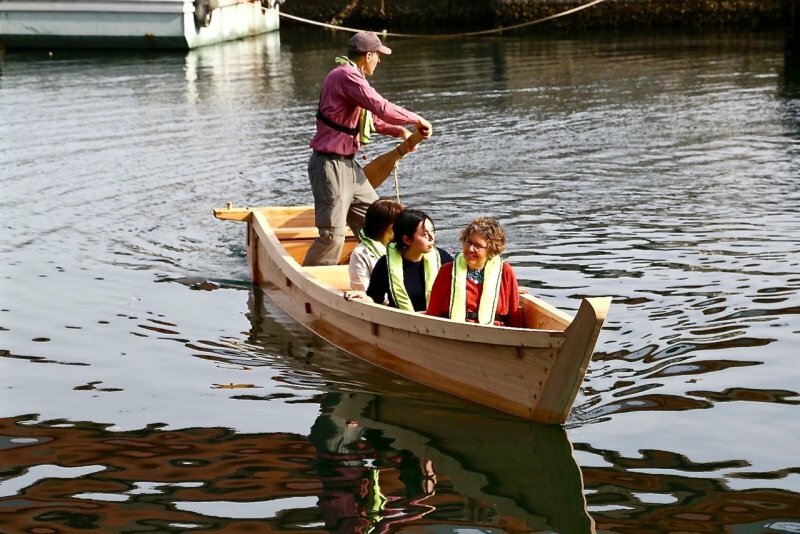 In 2015 Brooks and Angela Robins had assisted Mr. Hiroshi Murakami, the last builder of these boats, and documented his work. The isobune is planked in cedar and framed in cypress. 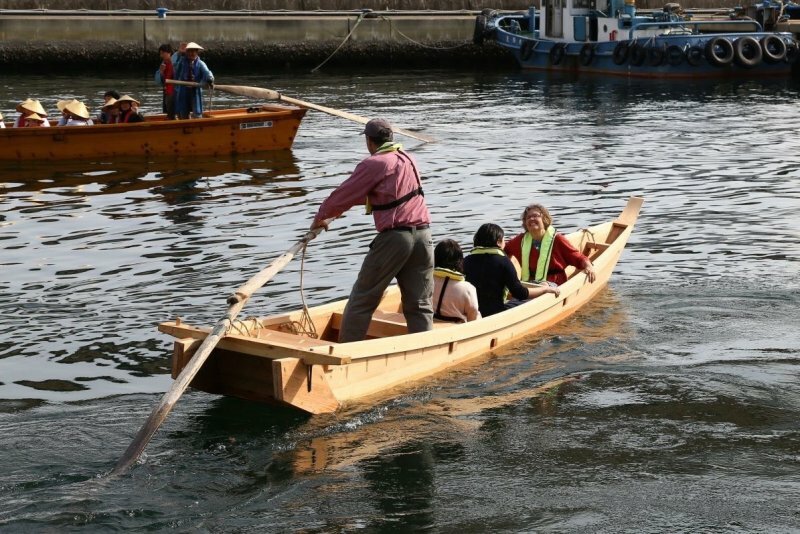 The museum hopes to donate the replica to a museum in Tohoku, where over 90% of the boats were destroyed by the 2011 tsunami. Brooks is currently working on a book on how to build these boats. Contact the builder at http://www.douglasbrooksboatbuilding.com. Mr. Tetsuro Yoshida took these photographs.